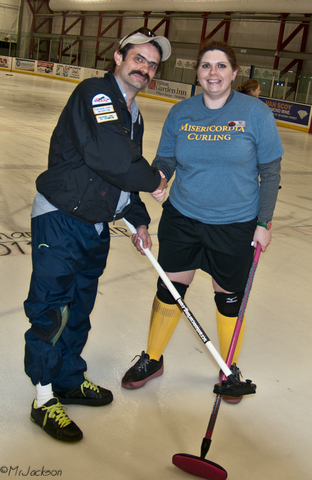 Stacey featuring The Ice Techs wins ACC Spring League championship | Anthracite Curling Club | Wilkes-Barre, Pa.
For the second year in a row, a team Skipped by Matt Lyons has won the Anthracite Curling Club league championship. Stacey featuring The Ice Techs (Brandon Jackson at Vice, Tom McGreevy as Second and Stacey Berkoski as Lead) defeated Team Piatt, 10-4, to win a second-consecutive title. 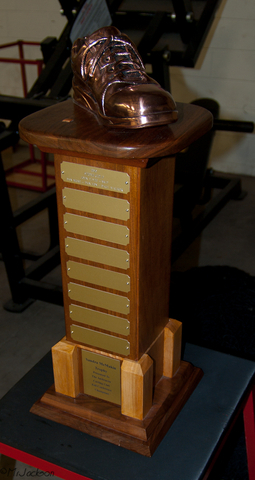 The victory was the culmination of an amazing season turnaround, going from tied for last place after six weeks, to the title just two months later. After starting 2-4 this season, SfIT won five straight games to clinch the Smith Conference on the final day of the regular season. 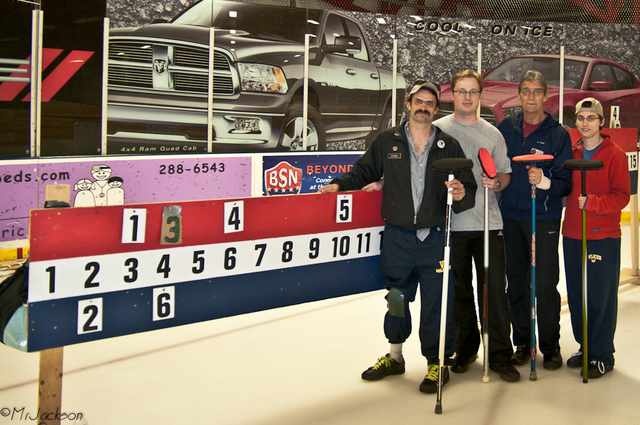 On Tuesday, the team jumped to a 3-0 lead on Team Piatt after the 1st end. Piatt’s side was able to cut that lead to 3-2 after the second, but wouldn’t score again until the game was virtually out of reach. With the Hammer in the 3rd end, Lyons could manage just a single point but was deft in thieving two more points in the 4th and four more in the 5th to build a 10-2 lead going into the final end. Piatt’s team was able to secure two points in that 6th end. Her team of Monica Lynn (Vice), Dana Griesback (Second) and Barb Parzych (Lead) was awarded the trophy as Fell Conference champions following the game. NOTES: Monica Lynn was unable to attend Tuesday’s game. Photos are courtesy of Brandon Jackson and his camera. This entry was posted in 2011 League, League News. Bookmark the permalink.